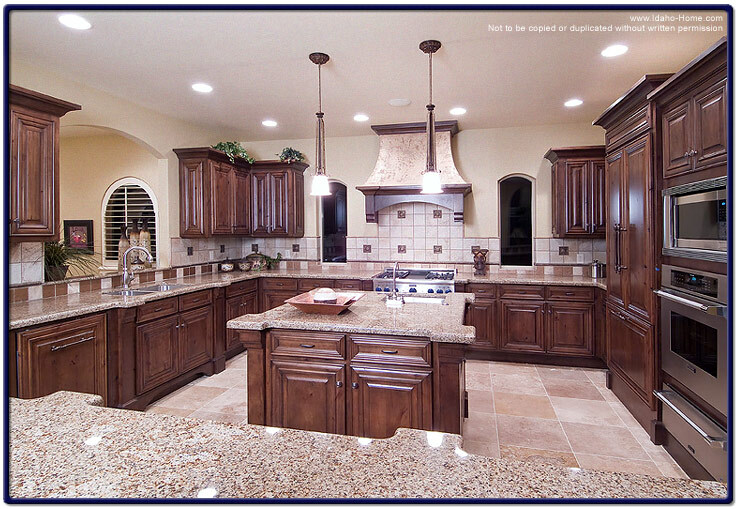 The photo pictured below is a luxury kitchen, custom built by One World Builders. With granite table tops, Travertine tile floors and custom built wood cabinets, this is the perfect cooking kitchen for those that enjoy preparing fine cuisine. The table top cabinet in the middle provides an added benefit when preparing large meals for family and guests. This kitchen has plenty of room to maneuver when preparing your favorite five course dinners. A must for the busy gourmet chef.